Paul Dunne put the foot down late in his round to grab four birdies in succession and trail just three off the pace heading to lap two of the Italian Open at Monza. 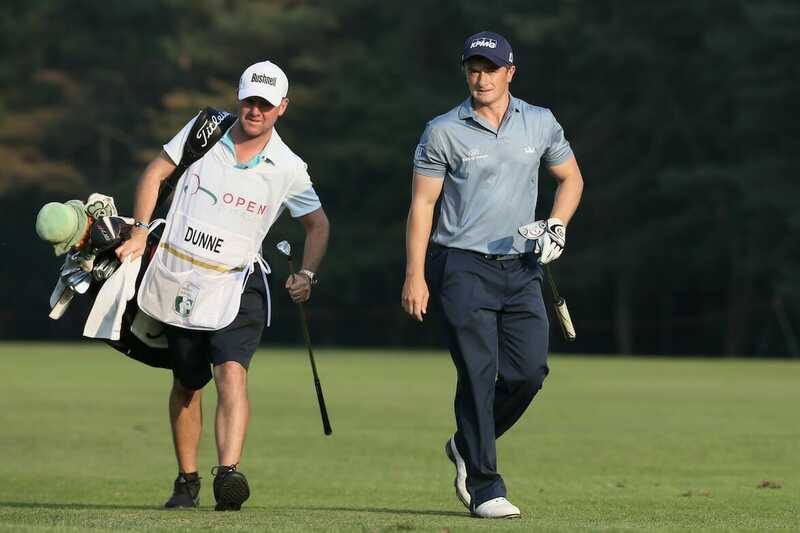 Dunne was just one under par walking off the 11th and already six shots adrift of the leaders when proceeded to birdie 12, 13, 14 and 15 on route to a four-under 67 on the Milano Golf Club course. And while the Greystones golfer dropped a shot at the 16th Dunne is already right in the mix in the Euro 5.9m event. Six players, headed by defending champion Francesco Molinari, lead the event at with seven-under par 64s and a record equal number of leaders for the second time this season the Tour. 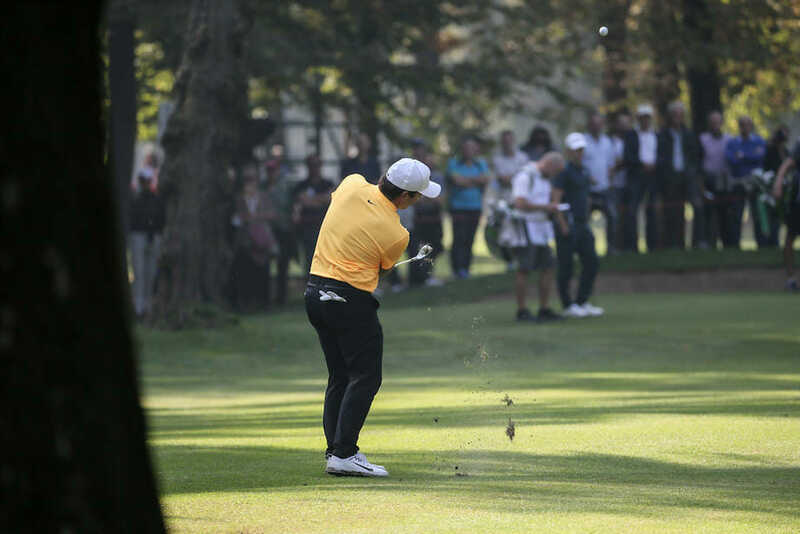 Molinari, wearing a bright yellow shirt, clearly drew strength from the ‘Tifosi’ with seven birdies over his opening dozen holes on the course the backs onto the Autodromo Nazionale Monza where Brit Lewis Hamilton five weeks ago was first past the chequered flag. “It was another good day, starting pretty much where I left off last year, so it was great,” Molinari said. Francesco Molinari during Round One of the 74th Open D’Italia 2017, Picture: David Lloyd | Golffile. Also at seven-under in Thailand’s Kiradech Aphibarnrat, Swede Alexander Bjork, Welshman Jamie Donaldson and the England pair of Matt Wallace and Eddie Pepperell. It was a day of low scoring with 92 of the 132 competitors breaking par. Sadly, Padraig Harrington was not one of them in signing for a two-over par 73 and ending the day with a fifth hole eagle, three birdies, four bogeys and a horror 17th hole triple bogey. Dunne shares 17th place and two shots fewer than Graeme McDowell and Shane Lowry who both shot 72s. McDowell is contesting the event for the first time since his 2005 defence of the title and while he birdied the first, the current World No. 139 was very much stuck in first gear for much of his round. He dropped a shot at the fourth and sandwiched two birdies at 11 and 12, and each par threes, in between 11 pars between the fifth and 18th holes. Lowry’s round was a mix of four birdies and two bogeys. Former Irish Open winner, Sergio Garcia and contesting just his first Italian Open, is already well-placed at five-under par.